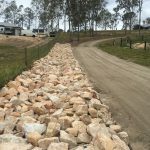 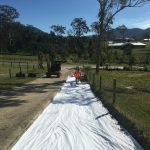 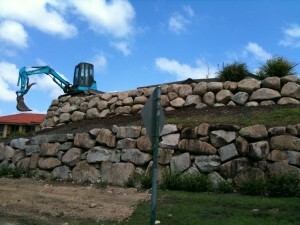 Check out our Facebook page ‘Retain Terrain Brisbane Rock Walls’ for more! 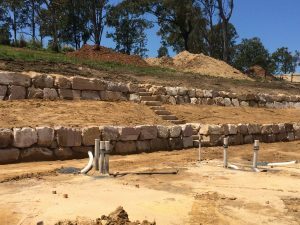 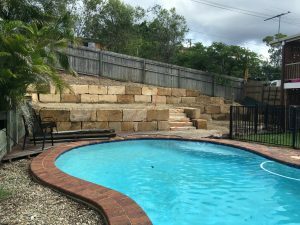 Tiered B Premium Sandstone Rock Retaining Walls with diamond cut sandstone steps create a beautiful backdrop and more usable land for this pool setting. 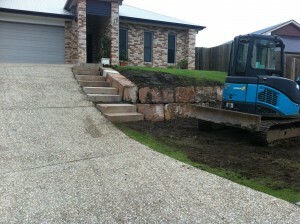 Two tiered rock retaining walls with sandstone steps to create access to the top of this customer’s new housing pad. 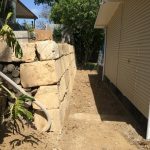 This Random Sandstone boulder retaining wall extends the usable land area around this customers shed. 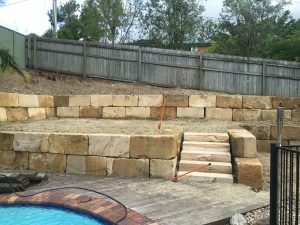 A Grade Sandstone Retaining Wall with tight access. 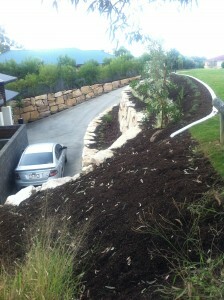 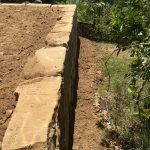 Lining a dry creek bed with Sandstone rocks to help with running water erosion. 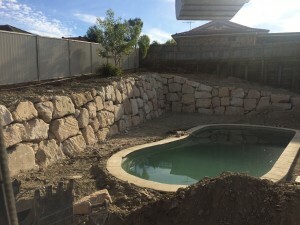 This Sandstone Boulder Wall is both a functional and stunning feature for this pool area. 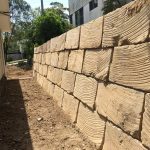 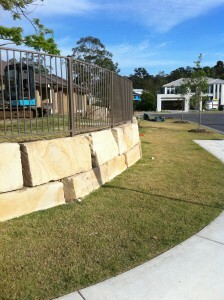 A Grade Sandstone Boulder Retaining Wall with Aluminium fence set into the stone. 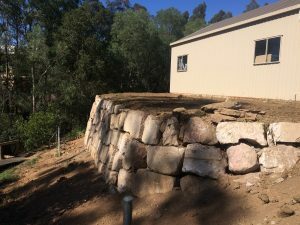 Random Sandstone Boulder Retaining wall to created useable space on a steep housing block. 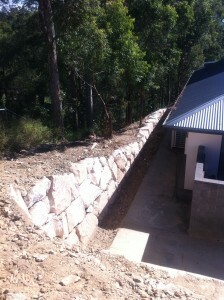 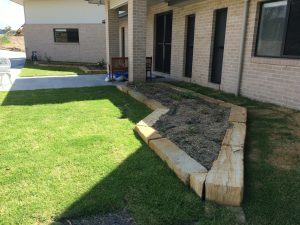 These Terrace Boulder Retaining Walls increase the useable space on a housing pad. 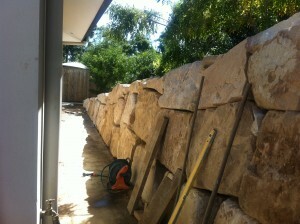 This Boulder Wall was created on a housing pad with tight access. 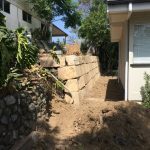 These Rock Walls increase the useable land on this house block as well as adding a stunning garden feature.